For the first time I bought a fresh coconut and cracked, drained, and peeled it out. After eating a few pieces I looked up some recipes I could make using it. 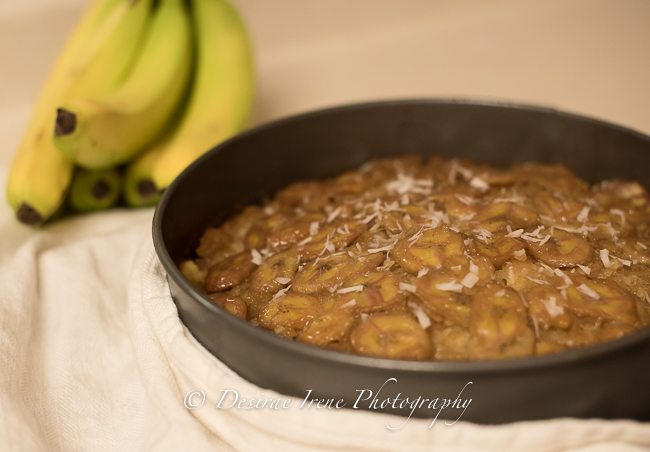 I had some very ripe bananas and saw this recipe at www.the-girl-who-ate-everything.com called Banana Coconut Upside Down Cake. Well I found her link on pinterest I should say. I happened to have everything so I started at the desert and this is the result. It really is oh so ooey-gooey as the original recipe at tablespoon says! I am gonna pair it with some vanilla bean ice cream. I think its best warm and fresh. I should not have looked at this while hungry…. That sounds delish!! I’ve never used fresh coconut …don’t even think I’ve seen it at the grocery store. I might have to try this now!